As I sat down to write this blog I thought about a provocative question I could ask that would get so many of my fellow females to think….. I bet you thought I was going to tell you about a diet that will help you prepare for Summer. The truth is this…….. I am not here to talk about diets or even food for that matter. I am here to share with you the only weight I am really concerned about……..the weight on the bar! I have noticed a growing trend of females taking on weight training and I am so excited about this much more constructive use of our time. 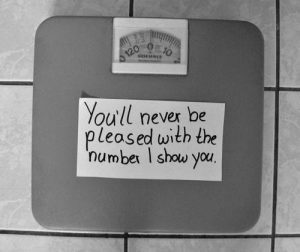 I do not own a scale….I can hear some of you saying “but you are petite so of course you don’t have to worry.” The truth is for many years just like so many of you I was worried about the number on the scale. I would run faster and look better if I was that little bit lighter…..wouldn’t I? I would be more confident in Summer and maybe find that elusive female six pack. None of this was true and I am so glad that I can say that I have now focused my efforts on the weight that I can lift. About a year ago feeling flat and in a rut I signed up with my inspirational personal trainer and was talked into Powerlifting. 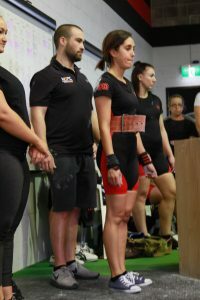 I am not what most people would think of as a powerlifter, but my coach seemed to think that even though I am a mere 156cm and 47kg in weight I had potential. I have literally trained my legs off…..sometimes I want to cry…..through a tantrum or roll over and sleep. However, what I found were women of all different shapes and sizes turning up at 5am to focus on their weight too. Thank goodness the focus is on what we can lift in proportion to our size and experience level. This is such a healthy way to focus our efforts. 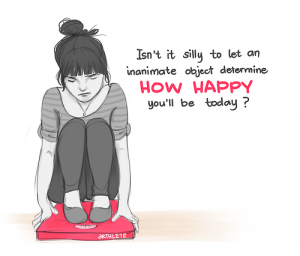 No longer are we made to feel out done by the boys or insignificant because we are not lifting what they lift. In fact the boys are often our biggest supporters providing compliments and definitely a bit of healthy competition. I want to shout it from the rooftops and encourage every single one of the females reading this……STOP worrying about your Summer body or bikini body! Lift weights to feel strong and empowered. I don’t care if 5 pushups is your best! Start where you are today and keep trying. Never for one second think that it will be easy, when you fall get up….. stand up and keep showing up time and time again. We need to stop comparing and complaining about what we can’t do and start showing the world what we can do. Work with an amazing trainer to support you achieve your dreams. Check out the crew at National Strength and Performance Centre to hook you up with a program and support. So many of you are scared to fail or look stupid. As a fitness instructor and pocket sized power lifter I never ever judge someone who doesn’t know what they are doing. I admire the courage it took to take the first step, even though they were scared. As a child I was afraid of the dark and used to pull the blankets over my head to sleep….but I don’t do that anymore. Because I decided to no longer give the darkness power, the fear doesn’t cripple me anymore. Acknowledge the things that you are afraid of and stop giving them power. For me it was ditching the scales and lifting that bar time and time again until the improvements came. Take the challenge and step out of your comfort zone……sign up for a new challenge! Lift the bar and unveil who you really can be when you stop doubting yourself and selling yourself short. Love it Hollie, you are machine at the gym always providing positivity & inspiration. Thanks but you are definitely my bench press idol! Thank you so much for your kind words. I am so glad that you are enjoying my content.